To date, Lisa Page’s infamy has been driven mostly by the anti-Donald Trump text messages she exchanged with fellow FBI agent Peter Strzok as the two engaged in an affair while investigating the president for alleged election collusion with Russia. Yet, when history judges the former FBI lawyer years from now, her most consequential pronouncement may not have been typed on her bureau-issued Samsung smartphone to her colleague and lover. It might take a few seconds for the enormity of Page’s statements to sink in. After all, she isn’t just any FBI lawyer. She was a lead on the Russia case when it started in summer 2016, and she helped it transition to Mueller through summer 2017. Shortly after he was fired, ex-FBI Director James Comey told the Senate there was not yet evidence to justify investigating Trump for colluding with Russia. “When I left, we did not have an investigation focused on President Trump,” Comey testified. Tags: Censorship, computing, Dangerous, electrion fraud, fraud, free speech, freedom, Glitch, Google, Larry Page, left Image: Natural News calls for the arrest, prosecution of Google executives for racketeering and fraud. Trump is bringing those that participated in the FISA warrant and having them speak out. He is in the process of weakening them all. New text messages of Strzok and others show they were leaking info to the news. Peace talks continue in Afghanistan. The White Helmets and paid mercenaries are rehearsing and filming the gas attacks, right on cue. The buildup to take the remaining paid mercenaries out of the picture and destroy the deep state infrastructure. 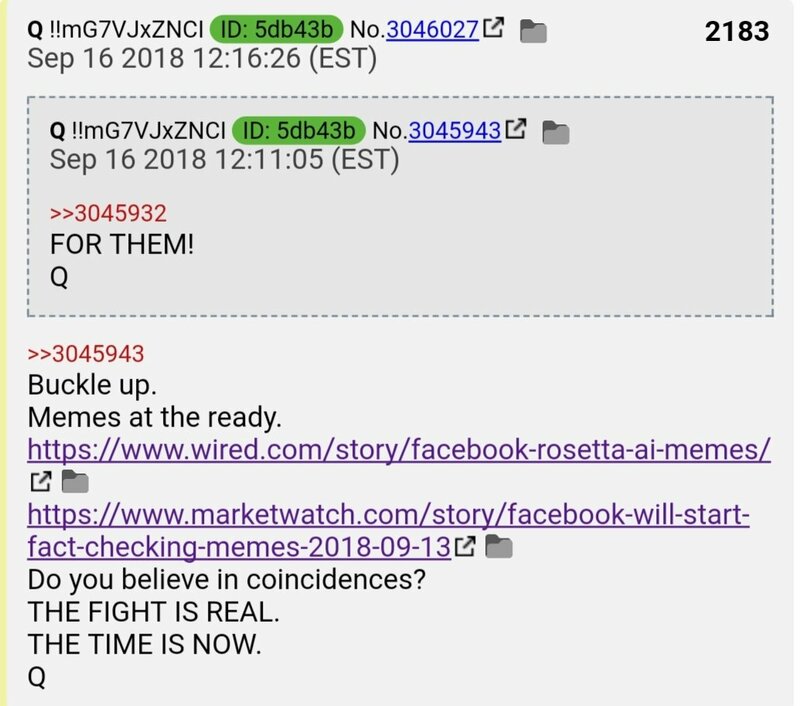 Q drops more bread crumbs, wants everyone on deck, prepare for battle. The FISA warrants will be released soon. Wholesale trade is declining as the economy continues to decline. The economy is being propped up with the same manipulation from passed Presidents, this is on purpose so Trump can remove the issue oft he destroyed the economy. The entire plan is bring the people to justice, transition the country away from the central bank and deep state. The MSM is worried that the Fed might be raising rates to fast and it might bring down the economy. TEST [Thursday] by DoD to confirm 'free-flow' of direct comms. POTUS SPEC AUTH REQ [think 'the football']. NSA monitoring for any attempts to disrupt and/or term access. Attempts to 'Snowden II' NSA FAILED. Compare date(s) of article(s) to drop. It will become even more apparent going forward. No evidence of 'Collusion' PRIOR TO MUELLER appointment? What was the USSS codename for HUSSEIN? Central bankers are making the case now that the American people have equity in their homes that they should take out another loan on their home. Mnuchin is selling this home, which means the real-estate market has reached the top and he is getting out because he knows whats next. The bubbles are about to pop and the economy is about to crash and both sides are scrambling. 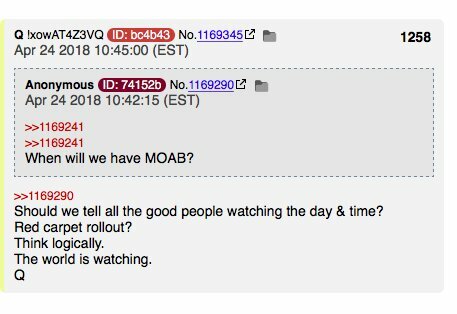 Q drops new breadcrumbs, the entire MOAB is about to drop. 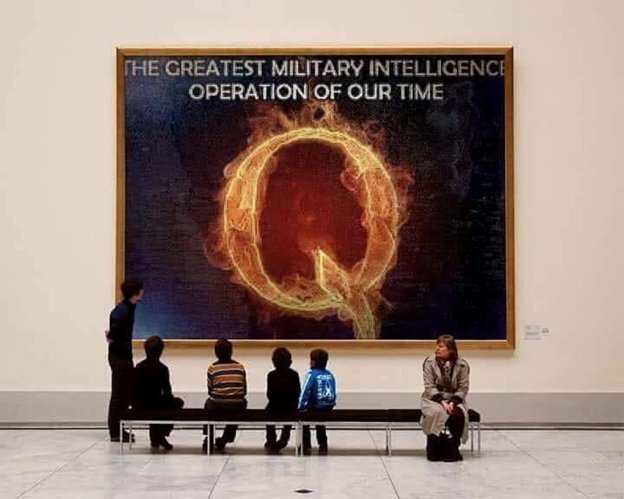 Trump and the patriots are preparing for this drop that will shock the people of the US. It will not drop all at once, there will be smaller drops in the beginning and then finally the MOAB. Yes, finally, justice is about to be restored. Indictments are coming out of the newly revealed federal grand jury. Last night, Joe diGenova, former U.S. Attorney for the District of Columbia, revealed that the former top lawyer for the FBI, James Baker, has flipped and is now testifying for the government and against those who participated in the Deep State coup détat attempt. Yesterday, diGenova revealed the existence of this grand jury and said that it is charged with rooting out the conspiracy among the FBI and Justice Department during the 2016 presidential election and for the first months of the Trump administration. Forget about whatever the fake news outlets are trying to sell to their audience. This is the leading edge of what will be known as this generation’s Watergate. However, this is investigation is not leading to the downfall of a president. Joe diGenova believas that indictments and arrests of top FBI and Justice Department officials are coming. House Intelligence chairman Devin Nunes told Maria Bartiromo this morning that he plans on releasing some 70 depositions that implicate [quote] “the corrupt officials in the Justice Department and the FBI” [unquote]. Nunes says that none of these 70 individuals were able to provide a single shred of evidence that there was any collusion between the Trump administration, or the President, and the Russian government. However, according to Nunes, because of this effective campaign by corrupt officials in the FBI to plant fake news stories in major newspapers such as the New York Times, as many as 20% of the American people actually believe that President Trump is actually under the control of Vladimir Putin. 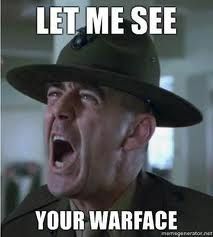 D's offering to [KILL] sexual assault allegation v Judge K in exchange for immediate pullback of DECLAS. Anons picked up on the 'carpet' bombs. 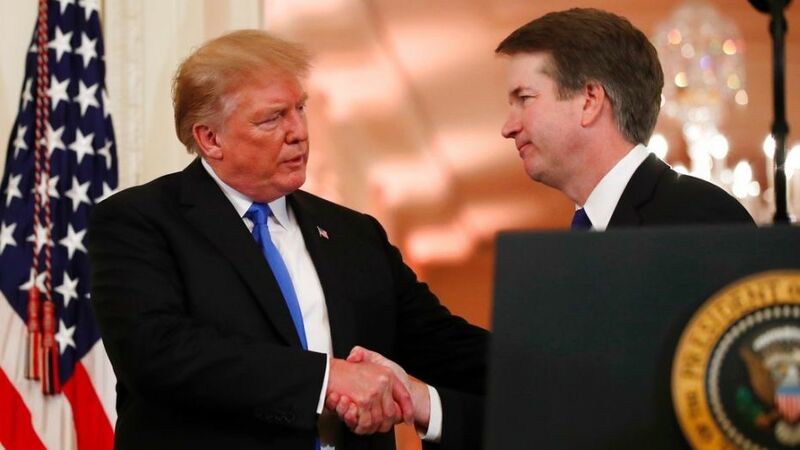 Dems are willing to drop sexual allegations against Kavanaugh if POTUS will withdraw the declassification of FISA docs. This started either before Trump announced his run for President, or soon thereafter. Someone who knew what happened told him. 2) SOMEONE in the IC, likely military intel, sat Trump down & laid out the entire #UraniumOnebribery scheme. 4) It involved so many people, it compromised so many agencies, the people who did it counted on it never being exposed or prosecuted. 5) The lengths to which they corrupted our government offices to enrich themselves by selling out our country virtually ENSURED they'd walk. 6) People knew but nobody could talk, the people involved in the scheme were at the HIGHEST levels of the American government. 7) So patriots in our gov't had their hands tied. There was nothing they could do to stop the sale. Even after SOME of the dirty facts behind #UraniumOnebecame known in 2015, it was easily buried, ignored, passed by. 9) Somebody took a chance on Trump. They sat him down, walked him through what happened. Ponder the impossible task being revealed. 11) degree that was almost unfathomable. HOW do you go about restoring the US gov't to what it should be, instead of what it's become? 12) And Trump and his advisors came up with a plan. A brilliant plan. An intelligence operation based on DECEPTION. 13) It started during the primaries when Trump began taking every opportunity he could to brag about what GOOD FRIENDS he'd be with Putin. 14) Trump literally could not seem to SHUT UP about how awesomely AWESOME his relationship with Putin was gonna be. 15) It became a running joke, a campaign feature, engendering much hand wringing & concern among Never Trumpers, including me at the time. 16) WHY does Trump keep going out of his way to incessantly BRAG about the sweet, sweet deals he & Putin are gonna do together? 17) But go back and look. During the primaries, during the general election campaign, what happened EVERY TIME Trump did this Putin act? 18) He *literally* trolled all the people who took dirty Russian $ to compromise our nat'l security into ATTACKING HIM FOR IT. Nellie Ohr is going to testify in front of congress this week. 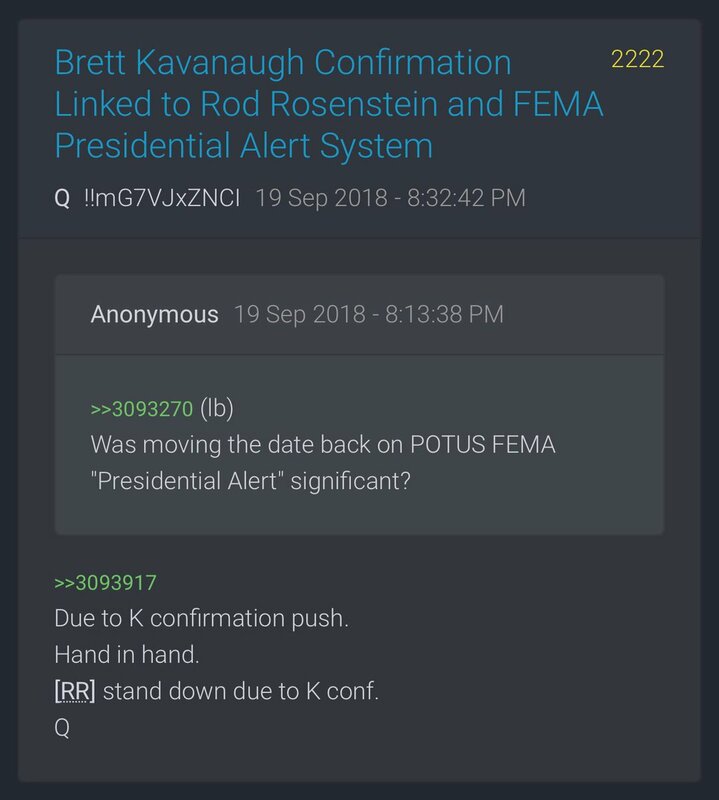 Kavanaugh is suppose to be voted on this week. The deep state decided to activate plan b and try to derail the vote on the 20th. The person bringing the allegations against Kavanaugh seems to have a lot of holes in it. Q is making it perfectly clear that the plan is proceeding on schedule and is warning the public that the deep state is ready to push their event agenda to disrupt everything. President Trump has ordered the Department of Justice to release all text messages related to the Russia investigation with no redactions, of former FBI Director James Comey, his deputy Andrew McCabe, now-fired special agent Peter Strzok, former FBI attorney Lisa Page and twice-demoted DOJ official Bruce Ohr. Also released will be specific pages from the FBI's FISA surveillance warrant application on former Trump campaign aide Carter Page, as well as interviews with Ohr. "At the request of a number of committees of Congress, and for reasons of transparency, the President has directed the Office of the Director of National Intelligence and the Department of Justice (including the FBI) to provide for the immediate declassification of the following materials: (1) pages 10-12 and 17-34 of the June 2017 application to the FISA court in the matter of Carter W. Page; (2) all FBI reports of interviews with Bruce G. Ohr prepared in connection with the Russia investigation; and (3) all FBI reports of interviews prepared in connection with all Carter Page FISA applications. In addition, President Donald J. Trump has directed the Department of Justice (including the FBI) to publicly release all text messages relating to the Russia investigation, without redaction, of James Comey, Andrew McCabe, Peter Strzok, Lisa Page, and Bruce Ohr"
As we reported last Monday, Trump had been expected to release the documents any time - with specific attention to the Page documents and the "investigative activities of Justice Department lawyer Bruce Ohr" - who was demoted twice for lying about his extensive relationship with Christopher Steele - the former MI6 spy who assembled the sham "Steele Dossier" used by the FBI in a FISA surveillance application to spy on Page. Republicans on the House Intelligence and Judiciary committees believe the declassification will permanently taint the Trump-Russia investigation by showing the investigation was illegitimate to begin with. Trump has been hammering the same theme for months. Ohr, meanwhile, met with Russian billionaire Oleg Deripaska in 2015 to discuss helping the FBI with organized crime investigations, according to The Hill's John Solomon. The meeting with the Putin ally was facilitated by Steele. Last month Trump called Ohr a disgrace, while also tweeting: "Will Bruce Ohr, whose family received big money for helping to create the phony, dirty and discredited Dossier, ever be fired from the Jeff Sessions “Justice” Department? A total joke!" Trump's threat came one day after two tweets about Ohr, noting a connection to former FBI agent Peter Strzok, as well as a text sent by Ohr after former FBI Director James Comey was fired in which Ohr says "afraid they will be exposed." According to emails turned over to Congressional investigators in August, Christopher Steele was much closer to Bruce Ohr and his wife Nellie than previously disclosed. Steele and the Ohrs would have breakfast together on July 30, 2016 at the Mayflower Hotel in downtown Washington D.C., days after Steele turned in installments of his infamous "dossier" on July 19 and 26. The breakfast also occurred one day before the FBI formally launched operation "Crossfire Hurricane," the agency's counterintelligence operation into the Trump campaign. "After two years of investigations and accusations from both sides of the aisle about what documents indicate, it is past time for documents to be declassified and let the American people decide for themselves if DoJ and FBI acted properly," Freedom Caucus chairman Mark Meadows told Axios earlier Sunday. In early August, journalist Paul Sperry tweeted that Trump may use his presidential authority to declassify "20 redacted pages of a June, 2017 FISA renewal, "and possibly" 63 pages of emails and notes between "Ohr & Steele," and FD-302 summaries of 12 interviews." President Trump threatened to declassify documents two weeks ago - one day after the New York Times allegedly published an anonymous Op-Ed claiming to be from a White House official claiming to be part of an unelected "resistance" cabal within the Trump administration. 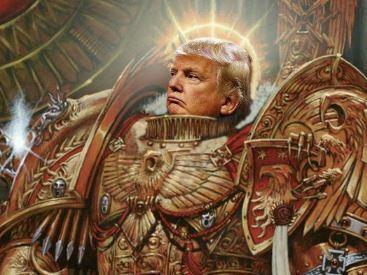 "The Deep State and the Left, and their vehicle, the Fake News Media, are going Crazy - & they don’t know what to do," Trump tweeted earlier this month, adding: "The Economy is booming like never before, Jobs are at Historic Highs, soon TWO Supreme Court Justices & maybe Declassification to find Additional Corruption. Wow!" Trump's threat comes as calls by frustrated GOP legislators to release the documents have hit a fevered pitch. Spearheading the effort are Republican Reps. Meadows, Jim Jordan, Matt Gaetz and Lee Zeldin - who have repeatedly asked Trump to declassify more of the heavily redacted FISA surveillance warrant on former Trump campaign aide Carter Page in late 2016. In June, Republicans on the House Intelligence Committee asked President Trump to declassify key sections of Carter Page's FISA warrant application, according to a letter obtained by Fox News. Carter Page, the DOJ/FBI's person of interest, weighed in on the matter in late August, tweeting: "The Corrupt DOJ, co-conspirators in the DNC and their high-priced consultants correctly believed they had American democracy and the FISA Court over a barrel in 2016." Congresswoman Maxine Waters (D-CA) took her calls for violence against the President to the next level this weekend and encouraged the resistance to “knock off” Trump. The corrupt and useless “Auntie Maxine” told supporters at a rally back in June to verbally assault and harass members of Trump’s cabinet wherever you find them. Many leftists have acted on Maxine Waters’ call for violence against Trump supporters. The most recent incident involved a man who tried to stab a Republican Congressional candidate. Last weekend a 35-year-old man named Farzad Fazeli tried to stab a GOP Congressional candidate with a switchblade while screaming disparaging, profanity-laced remarks about the Republican party and President Donald Trump. When will Maxine Waters be brought to justice for her calls for violence against President Trump and his supporters? NEW EVIDENCE proves that Hillary Clinton used her personal cell phone inside Russia as Secretary of State, exposing her phone and private email server to extreme risk of hacking by Russian intelligence agencies in mid-October 2009, just 10 months into her 4-year term. Clinton would later lie to the public and the FBI about her security practices in Russia, after apparently forgetting that this photo ever existed. The archived photo, taken during Secretary of State Clinton’s first official trip to Moscow, shows Hillary talking into what appears to be a rectangular-shaped, black-on-silver Blackberry smartphone. Her awkward hand position–with the length of her hand concealing most of the phone, and fingers wrapped around the top–could have been an attempt to conceal the device from being photographed. The Russian alphabet lettering in the background and caption accompanying the photo stating that Hillary had “traveled to Moscow” leave little doubt that this photo was taken inside Russia: This photo (below) started the investigation, but the Russia photo could finish it. 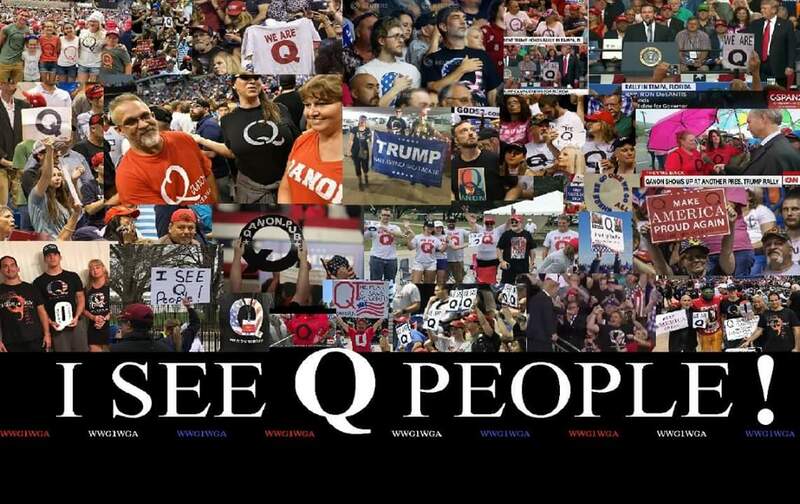 THE AMERICAN PEOPLE (& OTHERS AROUND THE WORLD) ARE AWAKENING. 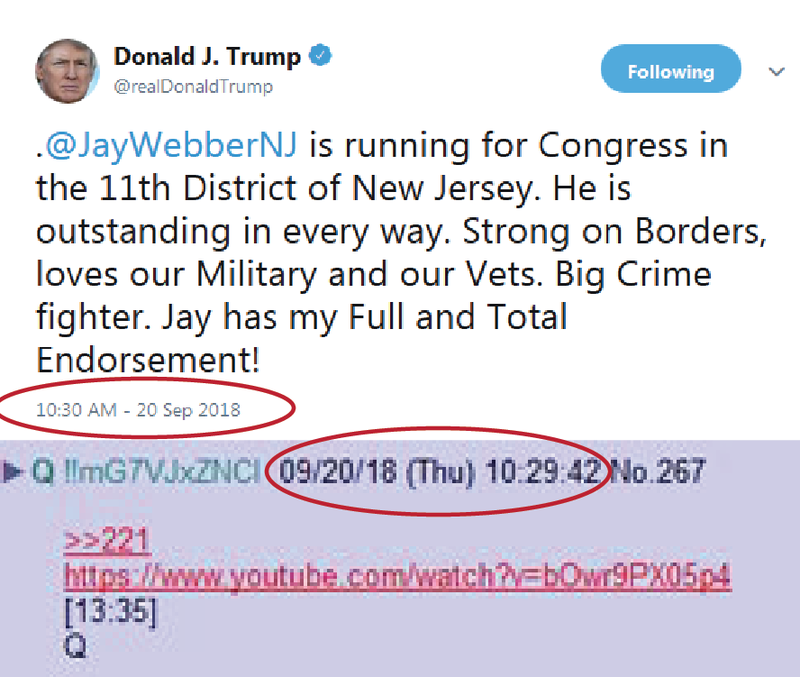 THINK ABOUT REAL-TIME 'Q' TRACKING. THE POWER YOU HAVE IS REAL. White House manned by Valerie Jarrett and Eric Holder. We admit that these findings sound more like Grisham fiction. But the evidence is a pesky thing. The evidence is now pouring in. In a shocking letter intended to undermine President Trump, and his authority over the Executive Branch, multiple high ranking Democrats sent a letter ordering intelligence agencies to ignore Trump’s order to declassify numerous documents involving the Russia investigation until consulting with Congress. Here is a copy of the letter to Intelligence leaders at link below. What is even more shocking than this deliberate attempt to skirt the rule of law and the US Constitution is the admission by Democrat leaders that Democrats are cutting deals with top Trump intelligence officials behind the president’s back. Nice work, Pelosi and Schumer! You just outed your allies in the Deep State! It will be interesting to see how Dirty Cop Rosenstein, Wray and Coates respond to this allegation. Let’s hope President Trump takes notice. The central bankers pushed the idea that criminals use cryptocurrency, but we see time and time again that the banking system is being used for criminal activity, Danske bank caught laundering billions of dollars. The housing market continues to implode on itself, permits fall and it doesn't look good for the upcoming winter months, when the Fed raises rates again the housing market decline will accelerate. Countries are not buying up treasuries, the US government, people and investments in America are now the holder of the majority of the treasury bonds. A new report has been released and it shows that the US Government under Obama spied on journalists and it was kept hidden from the public. The Obama admin used the FISA court to do it. 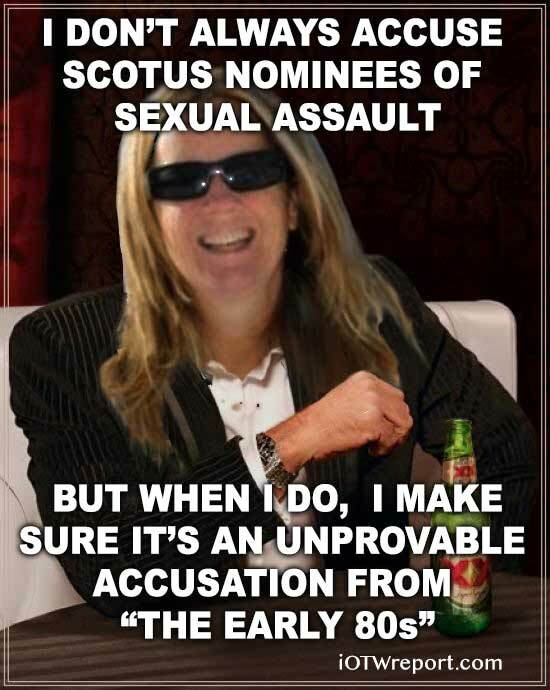 Kavanaugh and his accuser are suppose to testify but Dr. Christine Blasey Ford has not accepted the invite. Strzok and McCabe were caught destroying evidence. Maxine Waters is now panicking. NK and SK are meeting in NK to talk about peace. Israel attacks Syria which allowed the S200 system to target a Russian Jet. Congress says Trump cannot attack Syria without authorization. 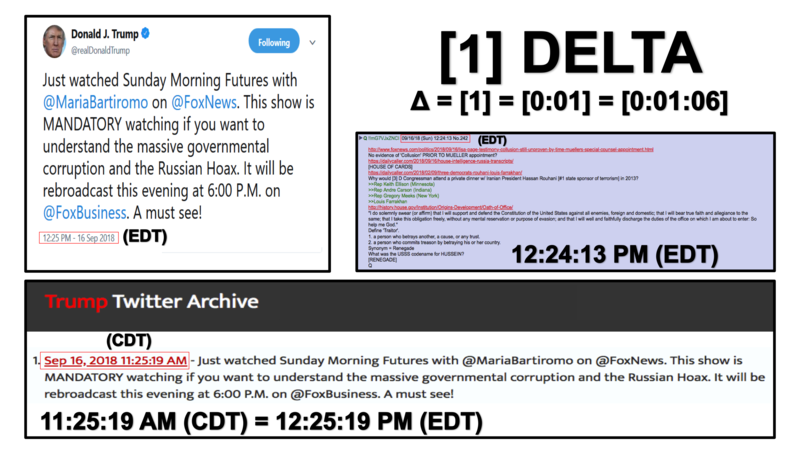 Q drops more bread and DC is in full panic mode. Sessions has been activated and now the tables are turning. The MSM is ignoring what is going on but more carpet bombs are on there way making room for the MOAB. Obama’s trade rep has acknowledged that the old global trade mess needed to be fixed. What is really happening, the globalist trade deals are being terminated. Trump pushes agenda into the stratosphere by placing more tariffs on China.The Fed is trying to use any excuse to put a pause on interest rate hikes, they know if they crash the economy it will be blamed on them, so those within the Fed are trying to stop the rate hike in Dec. DC is panicking and the central bank is panicking, the plan is moving forward. "No one knows I spent six hours yesterday doing social media for DSA"
He adds: "Do I care more about having this job, or do I care more about the [DSA] movement, and I was like… obviously the movement." Subramanian says that federal employees in executive branch agencies can slow work down to a crawl in order to stall the president's agenda. "We are looking into this immediately and have referred this matter to the Inspector General as well." The Department of Justice on Wednesday said it would look into allegations of "misuse of government resources to advance personal interests" after James O'Keefe's Project Veritas released a second video this week exposing "deep state" federal employees pursuing socialist agendas while on the clock at their government jobs. In the latest undercover video, DOJ paralegal and Democratic Socialists of America member, Allison Hrabar, reveals that there is "a lot of talk about how we can, like, resist from the inside." She discusses a fellow DSA member working from within the Department of Agriculture who is "slowing down" the process by which people are eliminated from the food stamp program. "We have a member who works for the people who distribute food stamps, and they can, like, take that away, and they’re slowing what they do… What they’re doing means that people are going to be able to stay on food stamps for another month or two, which is, like, really important," Hrabar said. Hrabar also appears to use her DOJ work computer to research DSA political targets - including looking up the license plate of a lobbyist in order to organize a protest outside his home. In another portion of the video, Jessica Schubel - former Chief of Staff for the Centers for Medicare and Medicaid Services under the Obama administration says that there is "like, a little resistance movement" within the government. Schubel also states that she received confidential information from a friend at the Department of Heath and Human Services. In response to the Veritas videos, a DOJ spokesperson said: "These allegations are deeply concerning. Department policy prohibits misuse of government resources to advance personal interests. We are looking into this immediately and have referred this matter to the Inspector General as well." Trump want the accuser of Kavanaugh to testify. She said that she wants a full FBI investigation but the FBI says no crime was committed. North Korea and South Korea agree on denuclearization and NK will allow inspectors into the country. New report shows Norway entered the regime change war but did not have any evidence of why they were doing it. Rebels leaving the Syria al-tanf area. Russia giving terrorists until Oct 15 to leave the area. Q drops more bread, the deep state is in panic, they have communicated via tweets activating the playbook and are calling for the next event. According to this report, no true history of the United States could ever be written without including the two most powerful forces that have shaped it for nearly the entirety of the past 100 years—and are known as the Bush Crime Family and Clinton Crime Family—both of whom were improbably defeated by New York City multi-billionaire real estate mogul Donald Trump in the 2016 US presidential election—and whose combined Bush-Clinton remnants buried within the American government now constitute what is known as the “Deep State” that’s constantly trying, and constantly failing, to overthrow Trump in a coup. 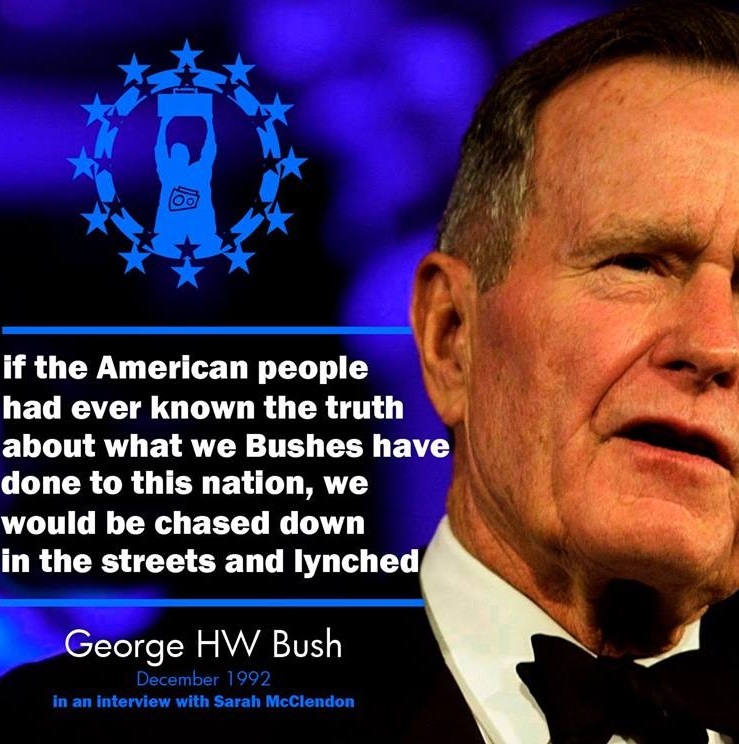 By far, the most powerful of these two entities that have shaped and molded American history over the past century, this report continues, is the Bush Crime Family—whose namesake scion Prescott Bush, in the early 1930’s, led a plot to overthrow President Franklin D. Roosevelt in a coup, and in failing then financed the rise to power in Nazi Germany of its leader Adolph Hitler—and whose son, George H. W. Bush, was part of the “Deep State” plot to assassinate President John F. Kennedy, and attempt to assassinate President Ronald Reagan, before his becoming president—and whose grandson, George W. Bush, in 1980, used the US Supreme Court to steal the presidency away from Clinton Crime Family operative Al Gore. In 2008, and in their knowing that the American people would not accept a continuation of the Bush-Clinton Crime Family dynasties, this report details, the little known US Senator Barack Obama was installed as the “placeholder president”, with his reign intended to last until 2016 when both Hillary Clinton and Jeb Bush would run for president—but neither of whom succeeded in doing so due to now President Trump having destroyed both of them. Though Hillary Clinton has never been able to accept her defeat by Trump, this report says, the Bush Crime Family came to an accommodation with their nation’s new president who began installing some of their former officials into his own administration—as Trump rightly knew he couldn’t battle against both of these powerful forces at the same time—and whose near peaceful coexistence was solidified, in 2017, when President Trump ordered to be kept secret until 2021 the CIA’s most damning evidence of former President George H.W. Bush’s complicity in the assassination of President Kennedy. On 27 June 2018, this report notes, the decades long power struggle between the Clinton-Bush Crime Families exploded when US Supreme Court Associate Justice Anthony Kennedy hand delivered to President Trump his now famous “Dear Mr. President” letter announcing his retirement—and whose replacement all the experts “knew” would Trump’s favorite anti-abortion US Federal Appellate Judge Amy Coney Barrett—but who were all shocked when Trump, instead, nominated Bush-loyalist, and US Federal Judge, Brett Kavanaugh to fill the US Supreme Court vacancy left open by Kennedy’s retirement. 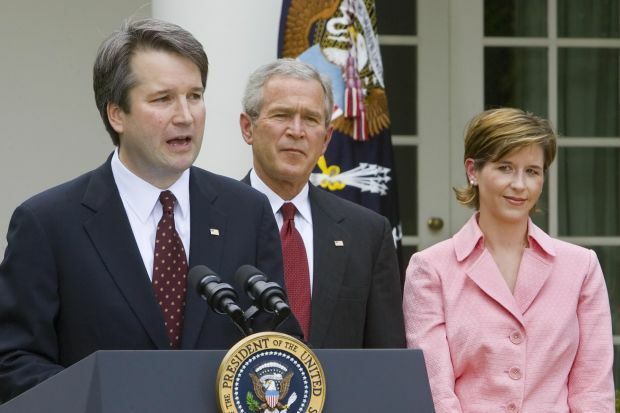 By Trump picking Judge Kavanaugh over Judge Barrett, this report explains, he deliberately pitted the Clinton-Bush Crime Families against each other—and whose reason for doing was so that he could ensure Bush Republican Party loyalists would support his forces in the upcoming critical for his survival 2018 Midterm Election—and even more importantly, his own 2020 presidential re-election—that the Bushs know is vital so that Trump can keep secret the CIA’s files on Kennedy’s assassination past 2021—but that the Democrats would release if they gained power to destroy the Bushs forever. 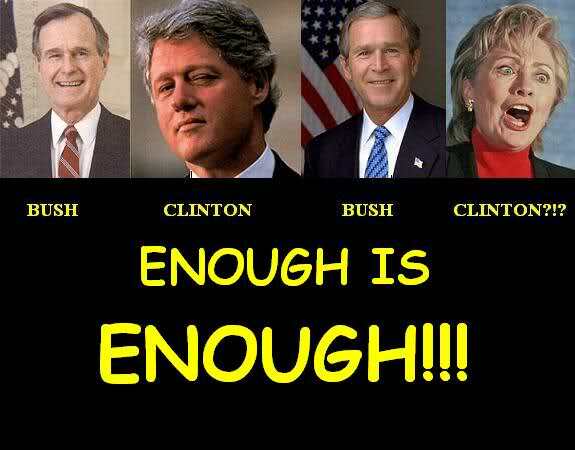 With this Bush-Clinton battle over Judge Kavanaugh descending into a public circus during his US Senate confirmation hearing, this report continues, everyone knew it wouldn’t stop his ascending to the US Supreme Court—that is, until, the leftist-socialist faction of the Democratic Party this past week launched a political assassination attack on Kavanaugh—that they accomplished by using an anti-Trump rogue faction CIA-linked collage professor named Christine Blasey Ford. In a world occupied by sane people of sound mind, this report explains, this CIA-Blasey Ford political assassination attack on Judge Kavanaugh would be recognized and quickly discarded for its being the dark comedy it actually is—most particularly due to Ms. Blasey Ford claiming that Judge Kavanaugh attempted to sexually assault her when they were both high school teenagers over 35 years ago—but who can’t name the year it happened, nor where it happened—in 2012 told a counselor she was assaulted by 4 boy teenagers, but now says it was only two—called the Washington Post this past July to report her “story” and said she wanted to remain anonymous—but immediately afterwards was given a high-power Democratic Party lawyer to represent her, who quickly deleted all of her social media accounts (Facebook, Twitter, Instagram, etc.) and past postings—and arranged for her to take a supposed lie detector test—thus proving beyond all doubt the lie that she ever intended to remain anonymous. With top Republican Party US Senator Lindsey Graham rightfully characterizing Ms. Blasey Ford’s preposterous accusations against Judge Kavanaugh as “a drive-by shooting”, this report details, he stands nearly alone in using plain common sense to confront this travesty of justice—as opposing him is former Democratic Party Vice President Joe Biden who says Judge Kavanaugh is guilty until he can somehow prove his innocence—and Democratic Party US Senator Mazie Hirono going ever further and saying men like Judge Kavanaugh don’t even have the right to defend themselves and “should just shut up”. Even over the past day, this report continues, the lies surrounding Ms. Blasey Ford continue to pile up—with mainstream propaganda media reports claiming that she has had to leave her home because of death threats being made against her, but stands opposed to her telling a reporter that no such thing happened—and that joins Ms. Blasey Ford’s Democratic Party lawyers lying by claiming “While Dr. Ford’s life was being turned upside down, you and your staff scheduled a public hearing for her to testify at the same table as Judge Kavanaugh in front of two dozen U.S. Senators”—and that the US Senate was quick to counter by their telling the truth and declaring: “Contrary to suggestions by Dr. Ford’s attorneys, the committee had no plans to place Dr. Ford and Judge Kavanaugh on a panel together, and never indicated plans to do so. Grassley’s staff offered Dr. Ford multiple dates as well as a choice of providing information in a public or private setting”. Most important to note about all of the lies and un-provable allegations surrounding Ms. Blasey Ford’s unprovoked attack on Judge Kavanaugh, however, this report concludes, are that they have now provoked the anger of the Bush Crime Family whose wrath is legendary against those who come up against them—and who are now being forced into an ever closer alliance with President Trump by a Hillary Clinton led Democratic Party whose destruction will, most assuredly, come much sooner than later as this latest coup plot stunt, like all those before it, spirals down into the flames of truth exposing it for what it really is—the dying last gasps of a soon to be dead dragon slain by a fearless Knight protecting his people. September 19, 2018 EU and US all rights reserved. Permission to use this report in its entirety is granted under the condition it is linked back to its original source at WhatDoesItMean.Com. Freebase content licensed under CC-BY and GFDL. VIDEO: Sara Carter: "It was a silent coup. There are documents that are going to shock the conscience of our country. They will be charged." Quoted text begins about halfway through the video. "There could be and there will be criminal charges pressed against people"
"I know Donald Trump says that over and over again everybody says this is a witch hunt. As I said the other night on your show Sean there is certainly clear evidence that indicates that this was an attempted silent coup or what the CIA calls a white coup or a bloodless coup"
I talk with Simon Parkes and we compare notes on what's happening around the world. QUITE POSSIBLY the most important information and intel out there as of RIGHT NOW. DO NOT MISS THIS. New Q - "Pain" - Lynch Talking, Sessions to UNRECUSE, Fisa Declassified!!! 9.18.18 - ℚ - HRC Terrified, Trump has Ace up Sleeve for Fisa - Hussein's own EO! - Panic in DC!! Apollo, Moon-landing project conducted by the U.S. National Aeronautics and Space Administration in the 1960s and ’70s. The Apollo program was announced in May 1961, but the choice among competing techniques for achieving a Moon landing and return was not resolved until considerable further study. In the method ultimately employed, a powerful launch vehicle (Saturn V rocket) placed a 50-ton spacecraft in a lunar trajectory. Several Saturn launch vehicles and accompanying spacecraft were built. The Apollo spacecraft were supplied with rocket power of their own, which allowed them to brake on approach to the Moon and go into a lunar orbit. They also were able to release a component of the spacecraft, the Lunar Module (LM), carrying its own rocket power, to land two astronauts on the Moon and bring them back to the lunar orbiting Apollo craft. Those in attendance - be vigilant tonight. History will judge you well. 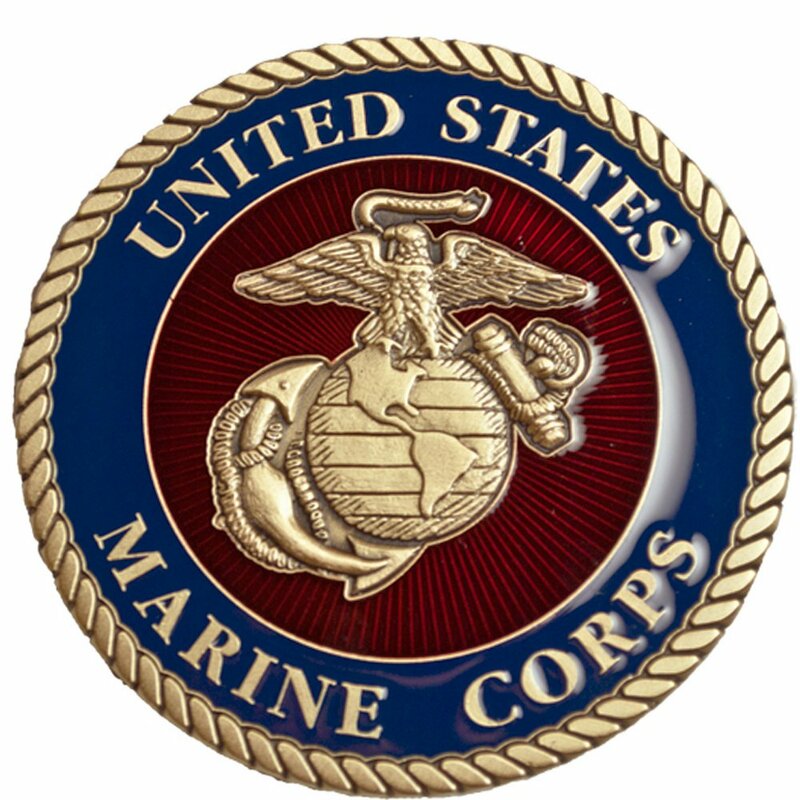 Q our son shipping USMC Recruit Training SD soon. Proud for him to serve! We thank him for his service to this country. May GOD watch over him always. To keep the will of the people on your side in the face of incessant gaslighting by the MSM. We are with you, but it can be very frustrating on this side of the curtain. Imagine the frustration if we weren't here communicating w/ you. You are many tens of millions strong (Q). Information is meant to be FREE. But, that will soon change (re: visibility). Public interest forces the SUN to SHINE. What does that tell you when it continually happens? "As I've been saying for two years, there's been a brazen plot to illegally exonerate Hillary Clinton in the email case and then if she had lost, to frame Donald Trump. And that is exactly what these texts are about. Whether or not Mr. Strzok and Lisa Page and others are indicted is certainly a question people can debate, but let me just say I know there is a grand jury underway, testimony is being taken about Strzok, Page, McCabe and others involved in this case and the reason we know it is that James Baker, the former general counsel of the FBI, as turned State's evidence is fully cooperating with the Inspector General and with the Federal Grand Jury. I can assure you, Mr. Comey has been very silent in recent weeks and the reason is very simple: he knows he's going to be indicted." Panic in DC re: Baker confirmed? This is a very interesting 20 minute video from a scientist in quantum computing at IBM as she explains quantum computing at 5 different levels, from a 3rd grader to a professional quantum physicist. I think that the whole idea of explaining things in this way is very interesting. How did the DOJ & FBI spy on Trump's campaign? Q Anon | We are not alone?